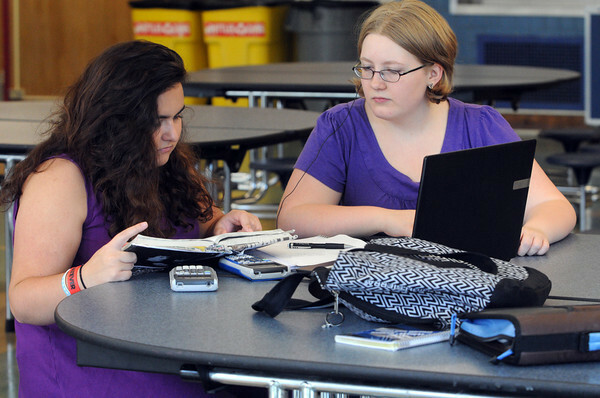 Wearing purple are juniors Hannah Malatzky, left, and Devin Hoyle who are working on their school work together. Almost everyone at Hamilton-Wenham High School was wearing purple Friday. It's "Purple for Pam" in support of the family of Hamilton resident Pamela Wells, one of the two women who were killed in an accident while participating in a bicycle event in NH last weekend.